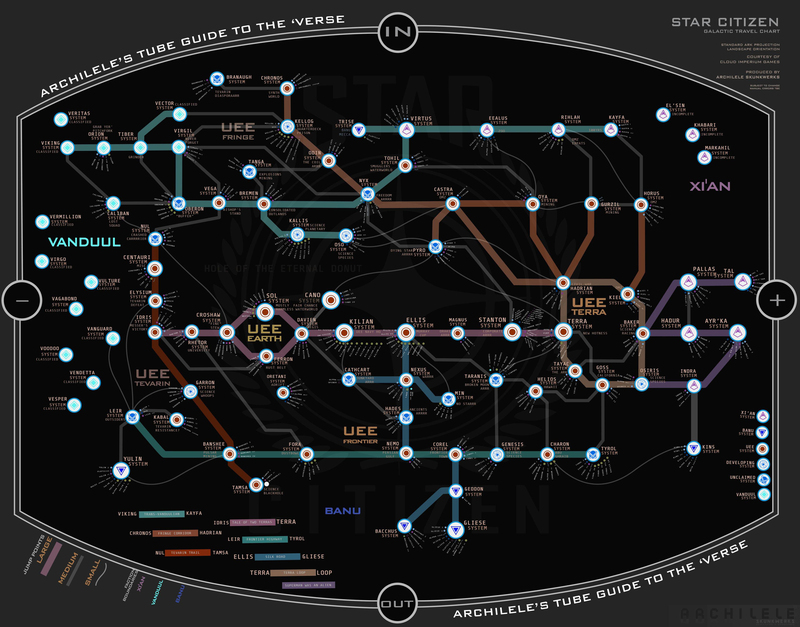 The Star Citizen community has done an amazing job of replicating the Ark Starmap in Transit Style for ease of navigation or reading. These fan made maps range from images, to interactive HTML maps and are extremely useful to get an easy to read glimpse for cargo running or other activities. 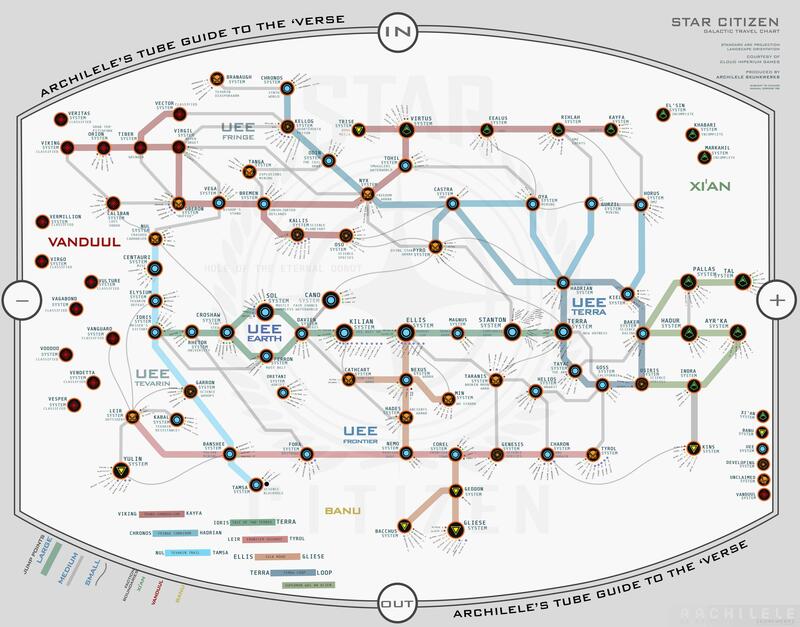 If you’re looking for an easy reference map for cargo hauling across the verse these Star Citizen system maps could be of help. 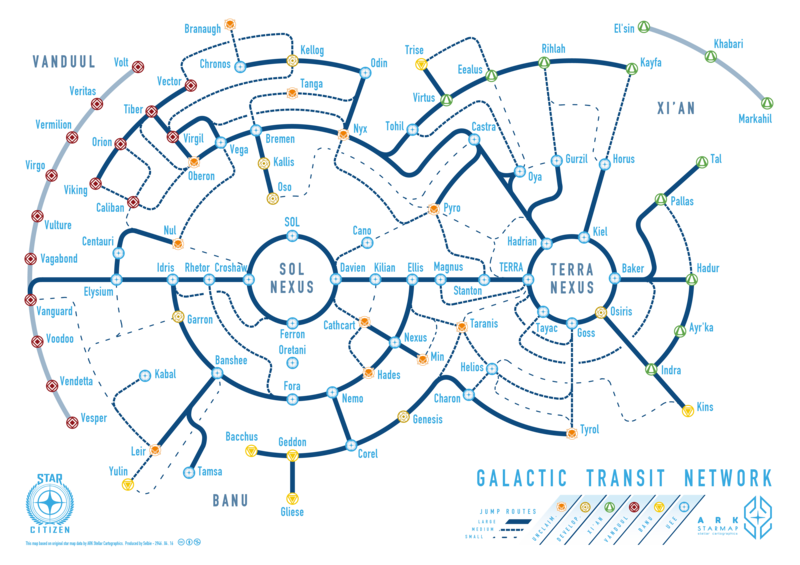 Transit map from Selbie. Click below for full size versions. 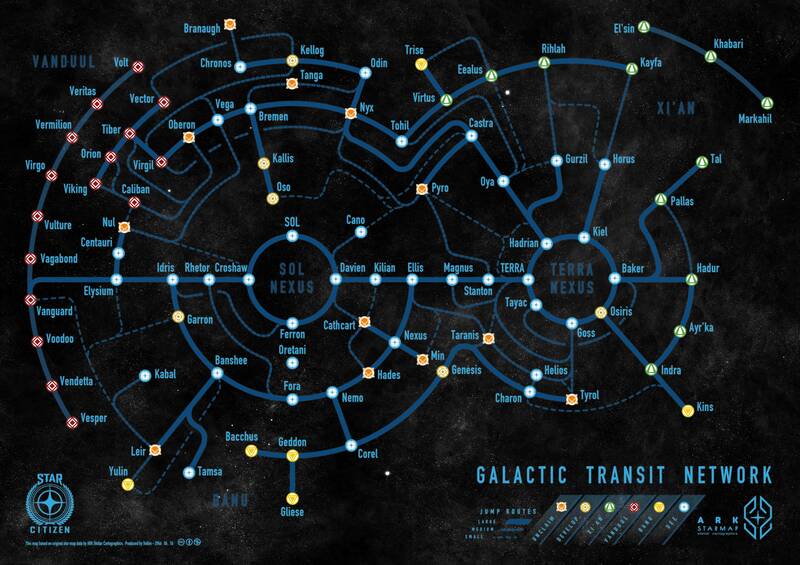 Zhatt’s Maps from this RSI forum post. 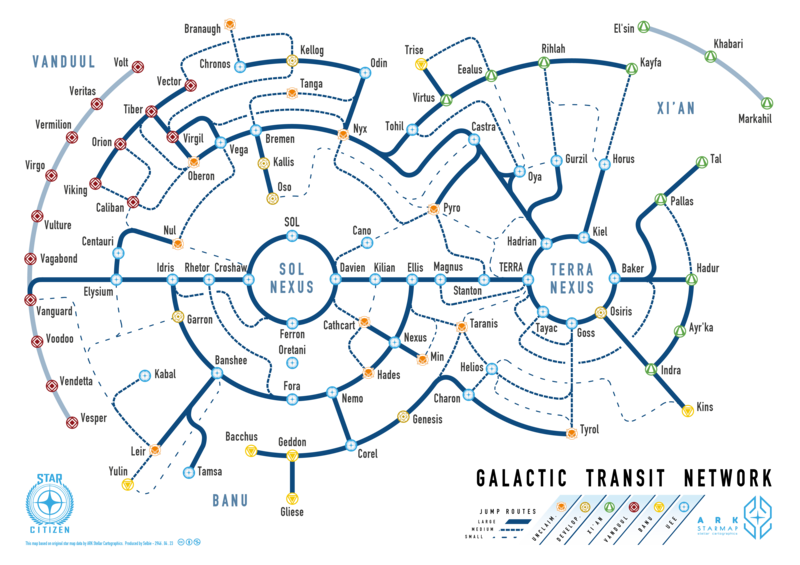 Tube style system map showing jump size, faction and economic zone for trading. Also: PDF Format (A1 – 841 x 594mm), PDF Format (A0 size), PNG Format (4967 x 3508), PNG Transparent Version Light (4967 x 3508) and PNG Transparent Version Dark (4967 x 3508). Selbie’s Maps from this Reddit. 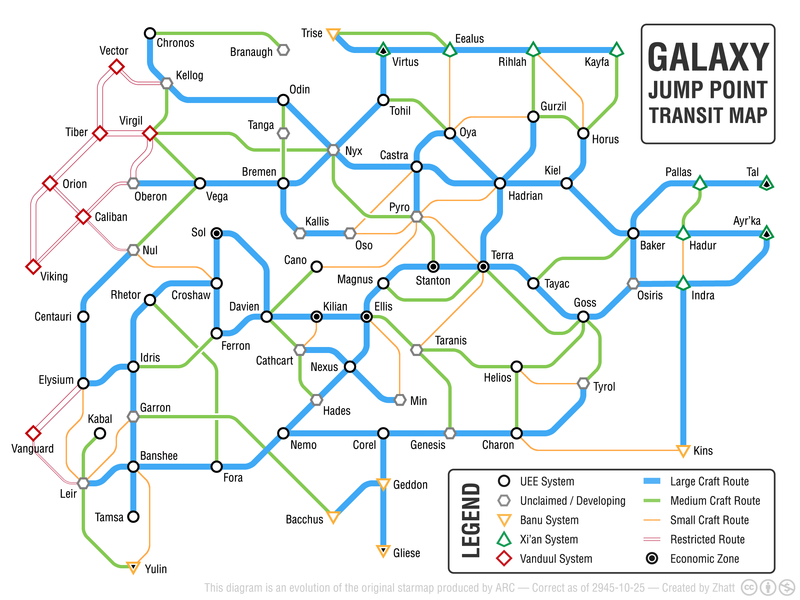 Tube style system map showing jump size and faction. Archilele’s Maps from this Reddit post. 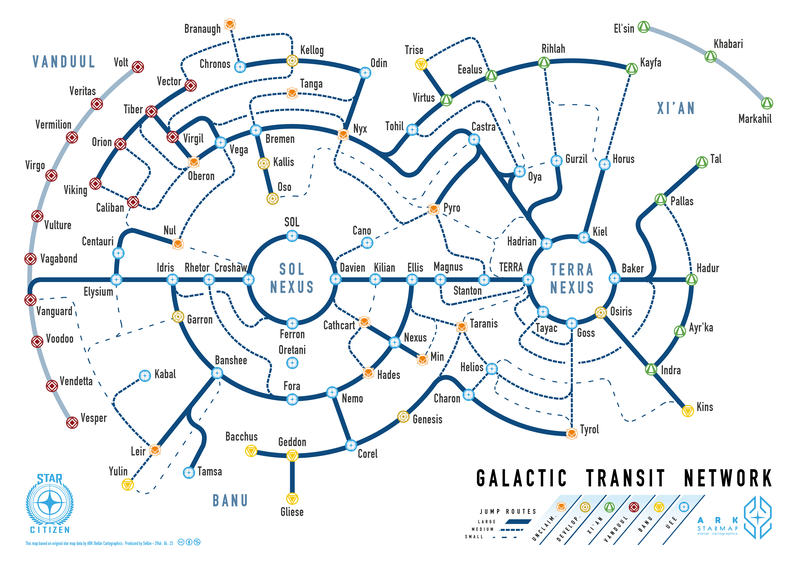 This map features clickable system information and jump point separation information among other things. 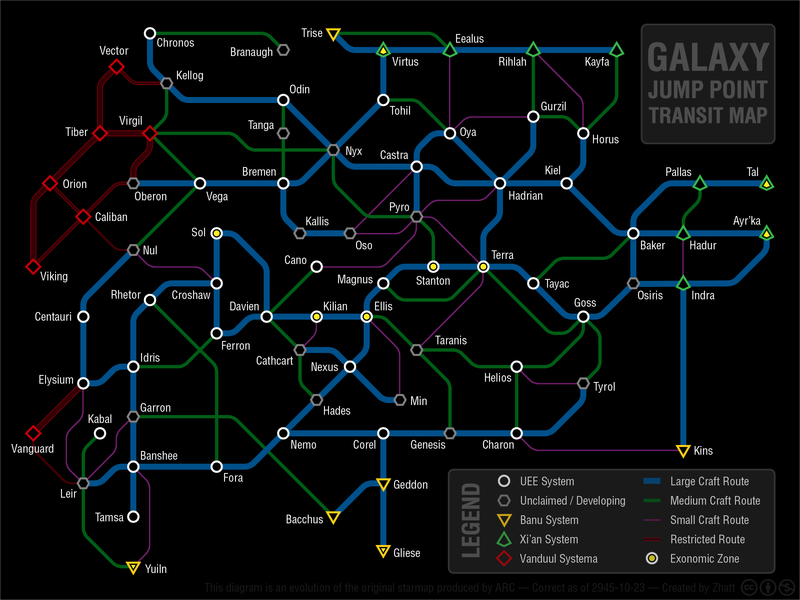 Simple transit Star Citizen map featuring jump point size and color coded system faction.